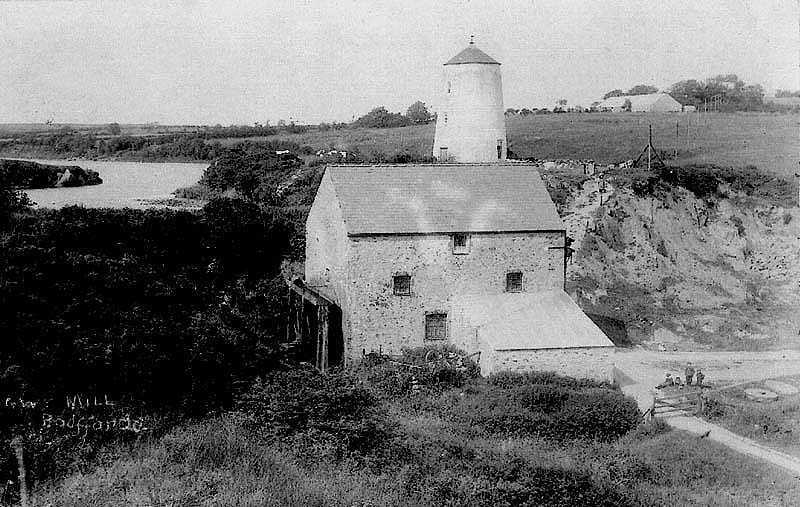 Anglesey, Bodffordd - early photograph of Frogwy Windmill and Water Mill. 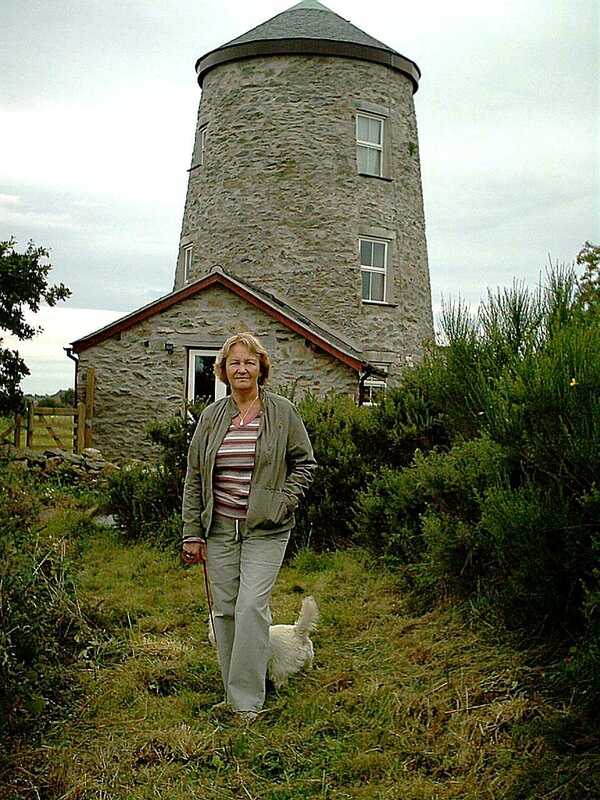 Bodffordd Windmill - known as Melin Frogwy on the Isle of Anglesey (Ynys Môn) in North Wales. I have not found much of the history of the Windmill, only that it had probably finished its' working life by the 1890's. I suspect that the same millers ran both the Windmill and the Water Mill. The only millers living in the village of Bodffordd during the 1881 census, were living at Rose Cottage. Robert Jones, aged 46 and from Llanddyfnan, is a corn miller. He lived at Rose Cottage with his wife and two sons, one of whom was 17 year old David Jones, also a corn miller. So maybe they ran the mills between them? I do remember an 18th century story that I read about the miller of Melin Frogwy Mill. He was accused of murdering one of his indoor servants. He was found guilty, and sentenced to burnt in the hands by hot irons. As horrible as that was, it bore no relation to the 12 year old boy tried at the same Beaumaris Court, he was found guilty of stealing and sentenced to hang!